Google has rolled out another update to Google Photos and if you look at the release notes, you would think it was just a but fix release. However, the new 2.1 version of the app has a new Assistant card that can help you with photos you shot sideways. In previous versions of Photos – and other photo apps for that matter – if you shot a photo that was sideways, you would have to manually go in and edit that file by rotating it. You can still do that in this update to Photos but now the app can analyze your photos and determine if it is sideways. 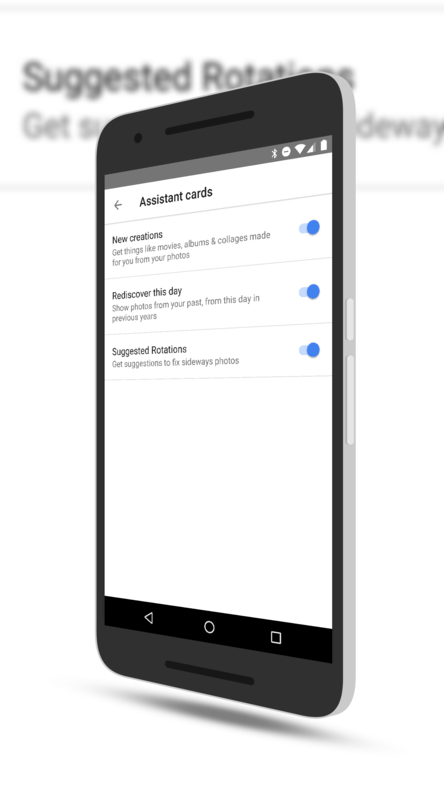 If so, it will give you an Assistant card suggesting that it can auto-rotate the photo for you without you having to manually do so. Assistant cards can take some time to work so don’t expect instant results. Beyond this, the app does have the usual smattering of bug fixes and performance improvements but, also as usual, Google hasn’t detailed exactly what that improvements are in the app. Google Photos is a free app and available in the Play Store (and for iOS too). As a reminder, I am a Google Top Contributor for Photos and if you need help with the app, hit me and my fellow TC’s in the Product Forums.